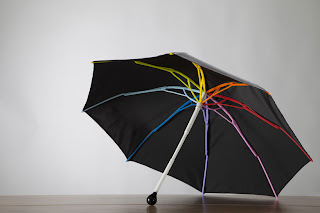 I chose to blog about this design because it is relevant to our current project: recycled materials. This umbrella was designed in Italy within the past three years. 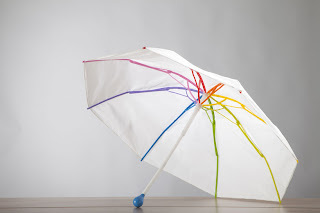 The umbrella is both aesthetically pleasing as well as practical and environmentally conscious. The umbrella's parts have been reduced from 120 pieces in a traditional umbrella, to 20 pieces in this more conscious design. The production steps have been reduced by 80% as a result of rationalization of components as well.